Bermuda Motors Limited (‘Bermuda Motors’), today announced the winner of its Carnival draw is Ms. Nichola Littlejohn. Customers who purchased a car from Bermuda Motors from June through to December 4th, 2018 had their names entered into the company’s ‘Carnival’ contest for a chance to win an all expenses paid trip for two to Carnival in Trinidad in February, 2019. The winner and guest will enjoy tickets to various Carnival events, accommodation and round-trip flights from Bermuda to Trinidad, courtesy of Bermuda Motors. 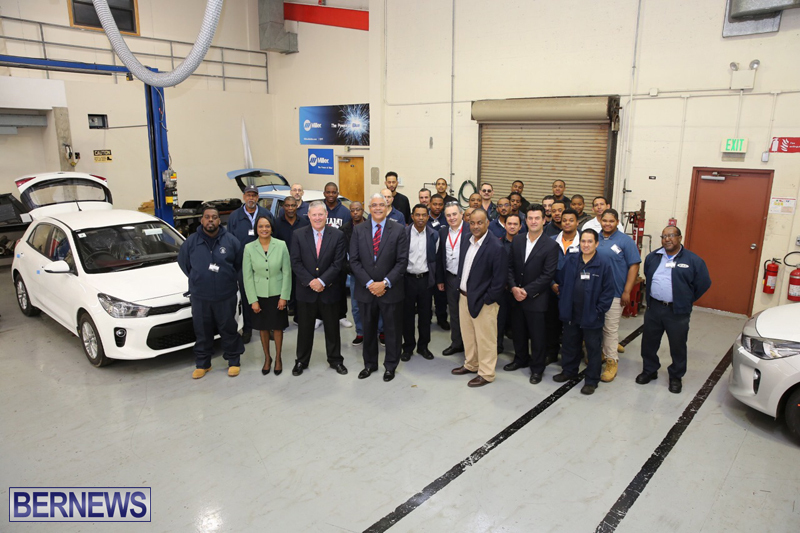 Bermuda Motors are hosting Kia Technical Training at Bermuda College for Bermuda Motors Service Team, Works & Engineering Staff, Bermuda College Students and overseas guest from Cayman, Belize and Barbados. A total of 27 people will take part in the 5-day course which commenced on March 27, 2017. At a press conference held this morning,Bermuda College President Dr Duranda Green welcomed the trainees to the campus and expressed her delight that the training was being held on the Bermuda College Campus. Dr Green also thanked Bermuda Motors for extending the invitation to her students to take part in this unique and invaluable training experience. Minister of Public Works Craig Cannonier said, “I just want to say a word of thanks to Bermuda Motors for organizing this invaluable training and for including four members of staff from the Ministry of Public Works. David Gibbons, Chairman of Bermuda Motors, stated, “With Kia being the number 1 vehicle on the roads here in Bermuda this training is essential. This manufacturer training is the first step in Bermuda Motors’ reinvestment into our workforce.